I get reflective during the time between Christmas and New Years. I know, I am so cliché. Actually my husband preached this morning on a similar topic as to what I have been mulling over, yes, we are that in sync, weird!! I don’t preview his sermons and with everything going on during this Christmas week, we didn’t even have a chance to talk about what he felt he needed to share at church. So really, it was just a little crazy. I have been thinking about all that has happened this year. Trying to focus on what has been influential in my life. It has been a challening year. 2014 is not a hard one to say farewell to for many reasons. Too many to get into actually. It felt like every time we turned around we were getting hit with something else. A year of testing, endurance and steadfastness. We are standing with grateful hearts because of the tender love of our Saviour and his grace in our lives. A few of my friends who know me best have been absolutely shocked that I have started a blog. They have told me how amazed they are that I have done it, they recognize how much courage it takes. They know for anyone to be vulnerable in that way is such a great risk. Close friends recognize this as odd because they know I was slow to cultivate friendship when I moved to town again. I was slow to trust. I took my time and picked very carefully who I would share myself with. I chose well, I have amazing faithful friends who have been life giving to me. Friends whose loyalty, character and input to my life has made everything that is hard about living where I live, worth it. Vulnerability isn’t something that comes easily to me, they have watched as I have learned to share at a deep personal level in a variety of settings over the years. They have been my encouragers, my safe place. Those who have known me the longest, know that something made me do this and it most likely wasn’t my idea. I have seen these statements proven true in my life. A number of years back I was in a situation that wounded me deeply. I was scarred and from that pain. Anger, unforgiveness, cynicism and distrust were threatening to take root in my heart. I was aware that hurting people, hurt people. I didn’t want that cycle to start in my life. I was desperate to avoid it and determined to do what I had to in order to heal and not become trapped in dysfunctional behaviour. The only problem was, I was clueless about what I needed to do. As I prayed about it and shared my burden with God, asking him for direction and answers, God led me to a Spiritual Director. And being the God who made me and knows me best, he connected me to just the right one. She is a Nun. Gentle, sweet, kind, unassuming. And patient, so very patient. Crazy patient!! She really has to be with me. My young adult small group girls called her my “Soul Sister”. I finally got up enough courage to go meet her and interview her. I pelted her with questions, and she gave me good answers. At the end, I was ready to leave and she simply requested, “Can I ask you a question now?”. I was hesitant but nodded that she could. She asked me why I was seeking Spiritual Direction. I answered simply, she gently probed and very quickly, we were in deep places. It was the start of a beautiful friendship. I shared my story, fears and determination with her. She asked me to start applying a new discipline to my life. She wanted me to learn to start my day quietly in the presence of God. My job was to enjoy His presence, breath and quiet my mind. I know none of you have had the unique privilege of being privy to my minds workings, and in my heart, I know you are glad. It took about 8 months of daily practice for me to be able to sit quietly in the presence of God, not having my mind wander off on a trail of thought and end up running aimlessly. It took so much work to come before Him with things I needed His insight to and not offer ideas and solutions of my own. All of a sudden one day, I realized that the things I was worried were going to entangle me had been removed from my life. God had removed them. He had brought healing and wholeness to those wounds. Scars remained, but I was no longer at risk of becoming part of the cycle of hurting people. There are times those hurts rise up and I need to forgive again, but they no longer drive me. I have healed to the point that I can rule over them. The practice of being quiet before Him has become a core, life giving discipline. It is one of many that has kept me from being taken down by our external circumstances this year. 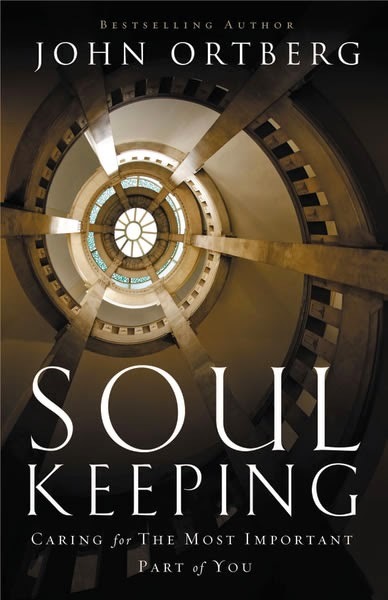 As I read the book “Soul Keeping” this year, it challenged me in many ways. It covered areas that I have learned the value of, yet it went deeper in some aspects and also covered new ground. I can only take one or two things and apply them, then I have to circle back and pick up more. I want to read this book again in January so I can apply more to my life. There is more I need to learn, more I need to implement. One of the ways I was being challenged was how the distractions of this life were trapping me into wasting my time. Pintrest, Facebook, Netflix were all trying to sneak in, threatening to draw me away from what is really important. I have, at times, lost the battle and allowed them to have more time than they deserve. The second quote really stuck my soul deeply. “What matters is not the accomplishments you achieve: what matters is the person you become.” Often these distractions keep me from even accomplishing anything let alone directing who I become in positive ways. These are all good things, I am not saying I cannot spend time on them. I just know that at this space in life, God is asking me to steward my time more carefully. I know I need to spend more time on the things of God. Time in His presence changes the unlovely parts of me. When I am with him, he reshapes me. When I spend time in His presence, God has more time to work on shaping me into the best version of myself. My soul knows it is called to more. This is why He called me to blog. Blogging is one of the ways He wants to accomplish this supernatural work in my life. To blog, I have to carve out time to reflect, I have to be reading my bible and other books and articles that are worth while reading. I need to make room for the things that challenge me and call me deep. The name of my blog comes partly from my name, and partly from what I have just expressed. My name is a form of Elizabeth, meaning: Set Apart for God. I was one of many Lisa’s growing up, I thought my name was boring. As a little girl, once I figured out what it meant, I loved it. It resonated to the core of my being even as a child. I was set apart for Him. There was more for me. More than this world can offer. Who I become matters a lot to me. Choosing to follow where God is taking me is important. Starting this blog and putting my personal reflections out there has been frightening. It has been a deliberate act of obedience. It is my way of committing to continue to fight my human nature. It is my way of partnering with God and allowing Him to shape who I become. I am overwhelming when people say they take the time to read my blog. The fact that people take time to read my thoughts on this is completely astounding. Your encouragement and comment have meant more to me than words can say. Even if where you are coming from is different. I really appreciate it. Thank you! I know some posts will fall flat while others will connect. I am thankful for those who want to join me on this journey. It is going to be interesting! Previous Post Home for Christmas!